On December 19, I was doing my usual social media updates and fact-checking to stay abreast of secular-minded news, when I stumbled upon an article entitled “Fans of ‘The Man Who Can’: Honoring Pat McCann in Connecticut”, posted on the United Coalition of Reason’s news feed. The article was embarrassingly lavish with its praise…even from John Levin in his own singular style. 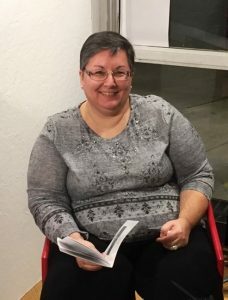 Then, a few days later, Susann’s article appeared on TheHumanist.com! I felt humbled, grateful, proud, honored, and misty all at the same time. Adam Arrowsmith was the President of the Connecticut Valley Atheists (@CVAtheists on Twitter) when I first met him. I was impressed at how calm and centered he was in his dealings with his duties as President and at times with unruly characters at some meetings. Adam is a top-notch leader, through and through. 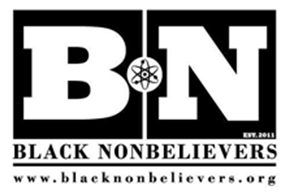 A bonus for Connecticut Coalition of Reason (Connecticut CoR, or CT CoR as we call it locally) is that that Adam is also an amazing artist, and designs much of the secular artwork you’ll see on our social media pages. 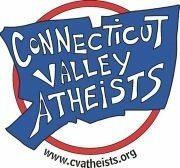 In fact, our two conference logos are Adam’s work, as are the Connecticut Valley Atheists’ and Hartford Area Humanists’. The signs at events like our protests, the Willimantic Boombox Parade, Science March, etc., are all Adam’s. Tanya Barrett was the 2013 recipient of the Connecticut Activist of the Year award from American Atheists. She was the driving force behind our two very successful conferences held in 2013 and 2016. 2013 was also the year our Coalition of Reason coalesced into being and was heralded with two billboards in the state sponsored by the United Coalition of Reason. Tanya was the secretary of CT CoR that year, and then served as co-Chair in the following two years. I followed Tanya as secretary when she took the co-Chair spot. I also followed right behind her in the subsequent two years as co-chair. Needless to say, I considered Tanya to be my primary mentor. She’s an amazing person: intelligent, articulate, professional, and driven. And that’s not all…Tanya was also very active in the Connecticut Valley Atheists’ organization throughout her tenure in CT CoR. She’s still a driving force in secular CT to this day. 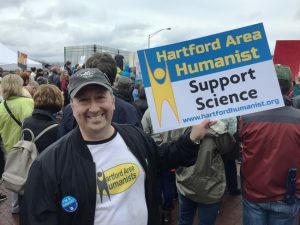 Dan Blinn was one of the founding co-chairs of the CT CoR in 2013 and founding President of the Hartford Area Humanists (“HAH”; @HAHumanists on Twitter) a year later. 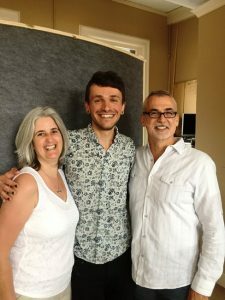 Dan is a Humanist Society-endorsed and registered celebrant, and in 2015 he graduated from the Humanist Institute. 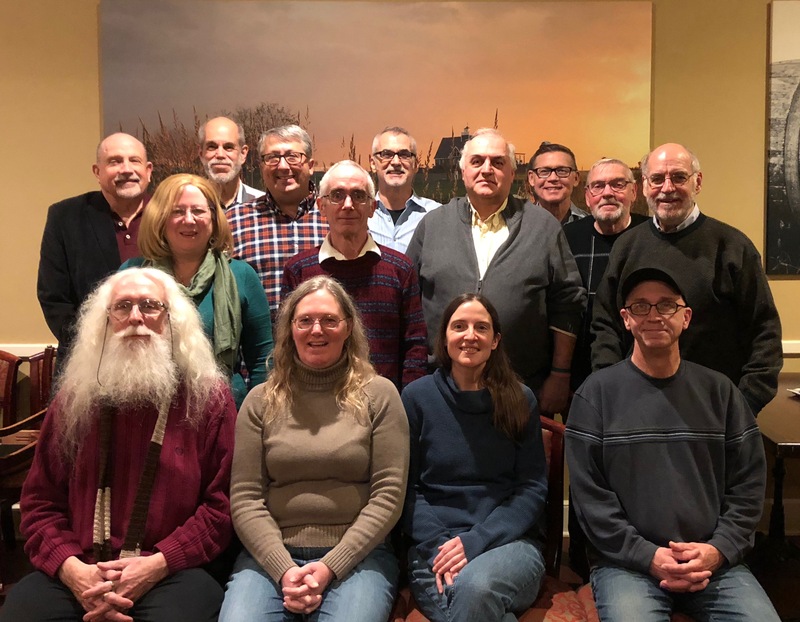 Dan saw a need for Humanist groups in the northern part of the state and has delivered on his vision of building a thriving group in the Hartford Area. The HAH has over 725 MeetUp members and many active participants. Dan is the driving force in providing unique and interesting programming that keeps folks coming back for more. 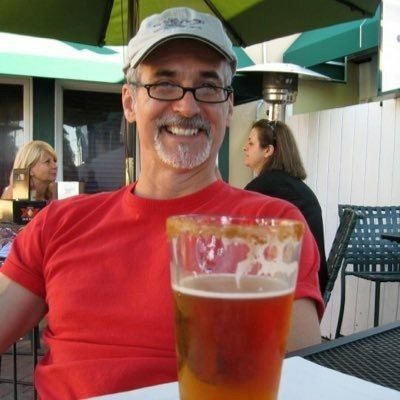 I think one of Dan’s most impressive accomplishments was organizing Humanists in New England and the Mid-Atlantic to march in the 2014 People’s Climate March in New York City (you can read Dan’s article in TheHumanist.com!). 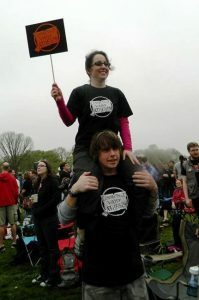 Shanna Bokoff was the 2016 secretary for CT CoR and along with her husband, Dan, are the driving force behind the Atheist Humanist Society of Connecticut and Rhode Island (AHSCTRI’s also on Twitter: @AHSCTRI) our group that serves the southeastern part of the state. Shanna is an amazing organizer and can always be counted on to keep things moving. Elisabeth Brown eschews the spotlight, but she is the brains to my brawn. I often discuss some of the challenges I face with her and she always has insightful and—most importantly—actionable feedback. Elisabeth is also the organizer of the Hartford Area Humanists’ annual Winter Solstice/HumanLight celebration, which just celebrated its 5th year. 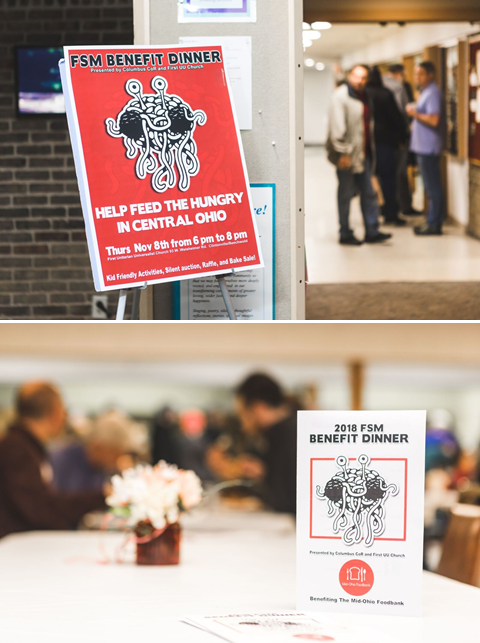 In 2013, it was Elisabeth’s idea to include a food drive as part of the festivities, and then in 2015, she also had a silent auction to support our 2016 conference at the event. She is an amazing kind, caring, empathetic, and consummate Humanist. She is the love of my life and the reason I keep going. Chris Stedman: Although Chris stepped-down as Executive Director of the Yale Humanist Community earlier this year and moved to Minnesota (apparently Connecticut wasn’t cold enough!!?? ), his legacy of a strong and vibrant Humanist community in New Haven lives on. Chris was a board member of CT CoR and emcee at our 2016 conference. 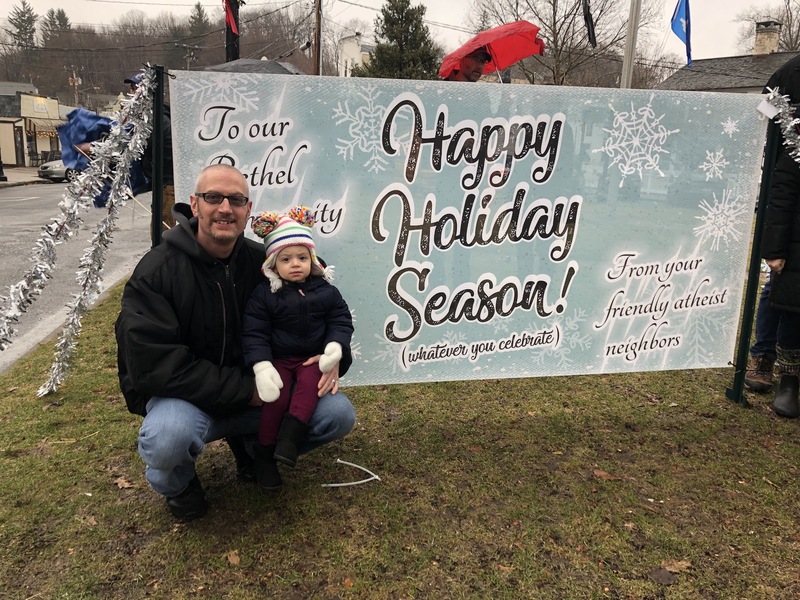 His vision for a holiday display on the New Haven town green finally came to fruition in December 2017. Chris was always a role model Humanist for the folks in CT.
George Unser: CT CoR board member and Secular Coalition for Connecticut member, is a tireless advocate for our Patient’s Right to Know Act as well as all healthcare-related issues in CT. George is leading our alliance with NARAL (Pro-Choice) -CT.
Stan Greenberg, current President of the Hartford Area Humanists and Legislative co-lead for our Aid in Dying support as a member of the Secular Coalition for Connecticut, has been a tireless advocate for this important piece of legislation that two-thirds of Connecticut’s voting population supports. He’s worked hard as a close ally to Compassion and Choices to get the word out and implement new strategies to support the efforts. Sarah Hambrick is the other half of our Aid in Dying legislative team and has been a passionate voice for the passage of this piece of legislation. She’s always looking for ways to get the word out and move the bill forward. Richard Lutz is never at a loss for ideas. I can always depend on Richard to think of new ways to engage the general population, or protest the “religious right”. Richard’s the current VP of the Connecticut Valley Atheists and on the board of the Hartford Area Humanists. 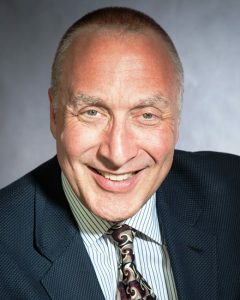 Klaus Kingstorf is another stalwart in secular CT, as current President of the Connecticut Valley Atheists and board member of the CT CoR. Klaus is always willing to help out, man tables, and join in any and all activities. Klaus leads the charge when the CVA holiday display goes up on the Vernon, CT town green. John Levin—perfectly suited for the task! John Levin—pictured in a rare suit and tie—is a board member of the Secular Coalition for America, and was also an early board member of CT CoR. John is one of the founders of the Southern Connecticut Darwin Day Dinner which is an amazing gala: a cocktail hour, a sit down dinner, a guest speaker (usually a professor of evolution or biology from Yale University), a science quiz with fabulous prizes, and often visits from Representative Jim Himes and Senator Blumenthal—both sponsors for the Congressional Darwin Day resolutions. Cary Shaw is the current President of the Humanists and Freethinkers of Fairfield County (@HFFCT), and is a board member of CT CoR. 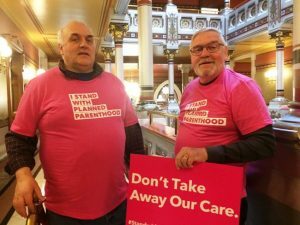 Cary’s also very active in the Secular Coalition for Connecticut and was Legislative co-lead for our Patient’s Right to Know Act which garnered a lot of attention and support from the general public. Cary is a huge asset to have on the team—always working to support atheism and humanism in CT. He’s super-active in HFFC as well coming up with great programming ideas and lineup of speakers. Along with John Levin, Cary is one of the primary organizers of Connecticut’s premier Darwin Day event. Dennis Paul Himes has been a fixture of secular activism in Connecticut since becoming State Director for the American Atheists in 2003. At their 2017 convention, American Atheists also named Dennis as their State Director of the Year! 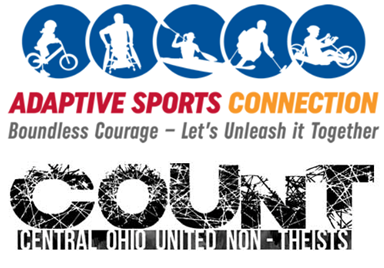 Dennis can always be seen at any number of events sponsored by the CT CoR groups. 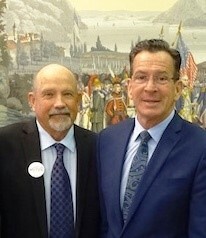 There’s not enough space to write all the things that Dennis has done for the movement in CT, so I will talk about just two, as he’s one of the current co-chairs of CT CoR and helps drive the success of the group. One of Dennis’ most impressive accomplishments for me was the success of the National Day of Prayer protests in Middletown, CT.
Every year for about 4 years the mayor held an Evangelical Christian National Day of prayer meeting in town hall during normal business hours. When Dennis was able to confirm this, he quickly organized a peaceful protest and contacted the local press…bad news for the mayor! A few years later, the mayor quietly stopped hosting this event altogether, and we applaud him for doing the inclusive thing. Carol and Richard Siddall have been mainstays of the Humanist movement in Connecticut for many years. 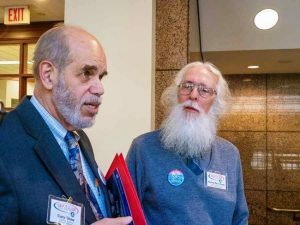 They’ve both been Presidents and filled other officer positions at the Humanist Association of Connecticut (@CTHumanist). 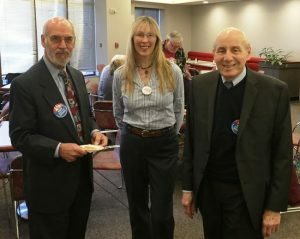 Carol is the editor of HAC’s newsletter, and Richard is currently CT CoR co-chair and the IT guru for our conference web sites and the Hartford Area Humanists’ web site. Carol and Richard support The Yale Humanist Community and Hartford Area Humanists with as much time, energy, and passion as they do HAC. On top of all they do, they also run one of Connecticut’s SMART Recovery chapters. Luther Weeks is our legislative guru. Luther is the Secular Coalition for Connecticut’s legislative co-lead for our Standardization of Oaths efforts. He’s a whiz at the state house, and was my co-organizer for our first ever Lobby day. Luther went door-to-door to help schedule meetings with constituents and legislators that I couldn’t get by phone. Luther is key to all of our legislative efforts and we’ve all learned so much from him this past year. 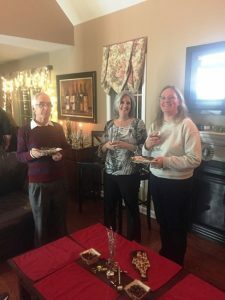 Rebecca Williams is the current secretary for CT CoR and serves on the board of the Hartford Area Humanists, Connecticut Valley Atheists, and Humanist Association of Connecticut. If there was a major cross-pollinator of the groups in CT, Rebecca is our queen bee. But it wasn’t always that way: when Rebecca first joined, she was fairly shy and kept to herself. Now, nobody and I mean nobody gets in her way. You want something done?…pass the Rebecca! I’ll admit….I’ve only scratched the surface on the accomplishments of all of these great folks and there are so many others who deserve to be called out: Daisy and Todd Milano from AHSCTRI; Tom Krattenmaker and Kathleen Green from the Yale Humanist Community; Kevin Gough and Paula Jones of the Hartford Area Humanists; Moe Provencher from Connecticut Valley Atheists; Lisa DiCandido from the Humanist Association of Connecticut; Anita Peters from the Humanists and Freethinkers of Fairfield County; and folks always willing to lend a hand: Mark Heil, Tom and Deidre Kennedy, Beatrice Maslowski…and so many others! When I sit down and think about it long enough, I recognize that there is just not enough time, plus I am sure I forgot many more. However, I would be remiss if I did not mention the original Connecticut secular activists, David and June Schafer—they were tireless advocates of equal rights and social justice going back to the middle of the last century; David was also a signer of Humanist Manifesto III. It is the legacy of all of these people that we carry on in Connecticut, and I am honored to have all of these folks in my life and to be part of a movement that serves humanity. Thank you for your kind words in UnitedCoR’s article: my successes have come about because of all the support I’ve received from my friends! Next Next post: Is It Blasphemy — Or Honesty?